If you’ve ever tried to remove private details about yourself online, then it quickly became apparent that there’s many obstacles blocking your path to true online privacy. The average consumer is completely unaware of the countless ways their private information is being used and shared. The people pulling the strings behind the scenes are known as data brokers, and they have a good reason to keep your information public — it makes them money. As such, they have no motive to remove your private information from their websites. Here’s a few examples of how data brokers and people-search sites can make it difficult for you to remove your private information. John’s discovered his name, address, phone number, and other private information about himself on multiple websites. John doesn’t want this information to be public, so he checks each site’s “terms of service” to learn how to remove his data. To make matters worse, John has to repeat this process with every website violating his right to privacy. John has identified various websites that are displaying his private information online, and each one has their own particular set of rules for requesting information removal. John will have to fill out countless forms, send numerous emails, and send time-consuming requests via snailmail, fax and phone calls. John also has to be prepared to receive multiple calls and text messages confirming his identity. Imagine how exhausting it will be for John to learn the steps and procedures for each and every website he’s requesting a removal from. Every website has its own set of rules for removing private information from their database. It sounds so easy to just fill out a simple opt-out form with a few basic fields. But what if John has to repeat the process over and over again on numerous websites? And some sites intentionally complicate the process with needlessly lengthy forms and countless questions. Here’s an example of the fun John can look forward to as he scrutinizes countless Capthca codes before submitting his opt-out forms! Is this the way you want to spend your evening? One day, John finds two near identical profiles about himself on the same website. The difference comes in John’s middle name; one profile has it, while the other does not. Another discrepancy is John’s address; one profile includes John’s previous address, while the other shows his current address. John would like to remove both profiles from the website in question, so he checks their terms of service and finds that all he has to do is fill out a simple opt-out form. John fills out the form for the first profile in question and submits his removal request. After which, the site notifies John that his removal request will take 24-48 hours to process. Now John tries to submit an opt-out request for the second profile in question, only this time, when he tries to submit the request, the website tells him he’s only allowed to submit one request a day. The website claims their anti-spam filters only allow one request a day, so John can’t get the job done in one sitting. There’s nothing left for John to do but come back to the site tomorrow and submit the request, assuming he doesn’t forget, or get busy with more important things. John comes back the next day and repeats the action. Sometimes data brokers don’t allow him to use the same email or IP-address for removal several profiles. Email confirmation, assuming it doesn’t go to his spam folder. SMS text message confirmation with a link and code. Phone confirmation, where John is asked to input a specific code. Prepare to be bombarded with multiple email confirmations. Submitting online forms, confirming emails, and other countless other confirmation methods may not be enough. Many sites will require John to confirm his identity via fax and snail mail too. Sounds like fun, doesn’t it? Let’s say the website in question gives John the option of submitting his opt-out request via snail mail. Does John even know what kind of information his letter should include? Are there any supporting documents required? What John doesn’t yet realize, is his snail mail request will take up to 2 months to complete! To make matters worse, incorrect requests can be rejected without notification, so John will never know if his request has been received, reviewed, processed, or even looked at by human eyes. And rest assured, once John sends these data brokers a letter or fax with his current contact information, they will quickly add it to their databases and bombard him with a host of new junk mail and spam faxes! 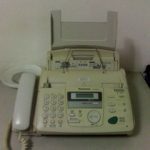 Relive the good old days of snail mail and fax. In his quest to retain his right to privacy, John learns that many websites will only accept removal requests for a fee. The fees add up fast, and John doesn’t want to pay for various removals. But he has no choice, which irritates him to no end. Can you blame him? Imagine how you’d feel. Would you want to play by those rules with the deck stacked against you? How does John know that someone is even working on his request? John is quite determined to remove his private information from every people-search site that’s displaying his personal information. He diligently submits his opt-out requests one by one, however, John inevitably runs into a website that offers no opt-out option whatsoever, even after he’s already pay them for a removal. The website provides no way to contact them. No opt-out form is provided anywhere on the site. The site admin ignores email. Okay, so John burned his entire weekend on this, followed all the instructions, did everything right, and submitted his removal requests to multiple websites. Now what? Cross your fingers, then sit back and wait. Meanwhile, John’s private information remains publicly available online. How long before it’s removed? Will they ever get around to it? Success! John finally sees the fruits of his labor, and his private information has been removed from the websites in question. However, John discovers that the link to his old profiles is still active on Google and regularly comes up in their search results. The link is broken, however, the little snippet Google displays still contains some private information that John doesn’t want made public. And this snippet will remain visible in every search engine’s results until, one by one, they update their links to reflect John’s removed profiles. This process can be lengthy and time consuming, meanwhile, those snippets remain visible for all to see. Archived results can be expedited for removal with special tools, but they only work for broken links. So John’s successfully removed his profile from one website — congratulations! But if he searches his name on the myriad of sites out there, he’ll find similar information about him still exists elsewhere. Does John know all of them? Do you? Keep in mind, Google search results may not show the actual number of sites that store your collected data. 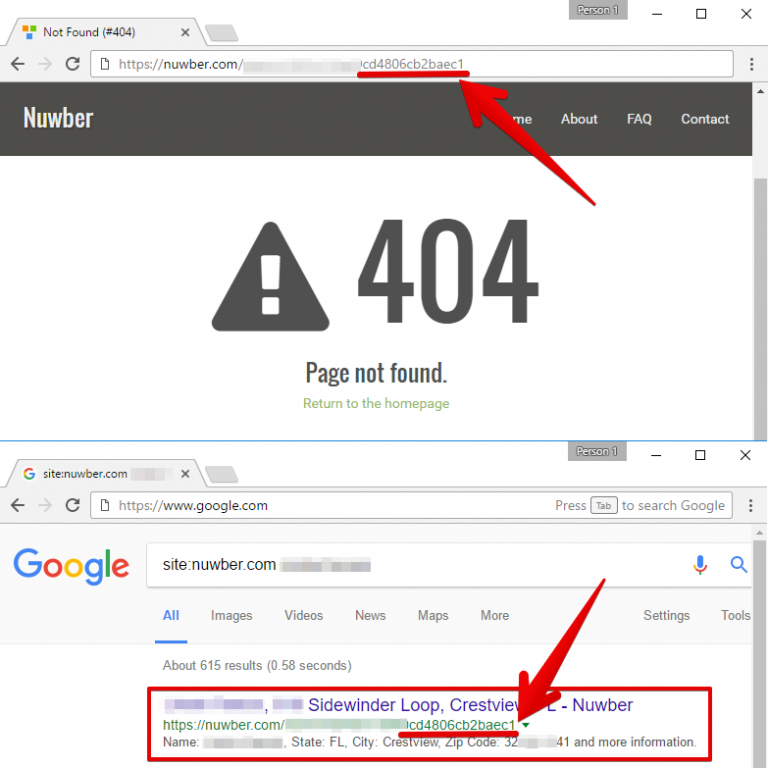 In fact, even if your name doesn’t appear in Google’s search results, it’s likely still being exposed on lesser known, poorly optimized search engines that you may not even know exist. Scammers and stalkers often know these sites, and may find John’s private information there, even if it’s been removed from Google. Sometimes John clicks on a Google search result expecting to go to the website listed, only to be redirected to another website entirely. It’s not a big problem, but it’s confusing to John, thus hampering his ability to control the removal process because he can’t keep track of where his private information is listed. Some sites remove records immediately, while others will make John wait 24-48 hours. However, sometimes it can take up to 60 days or more before John’s private records are removed. In the meantime, the websites in question will offer John no feedback or status reports during this removal period. So John has no clue if anything’s being done, or if there’s anything further he needs to provide to complete the request. John checks each website daily, but still sees his profile displayed online. Did something go wrong with his removal request? Is there an error on the site? John soon grows impatient and decides to submit another request. And round and round it goes, as the same story plays out over and over. Yet through it all, John receives no feedback of any kind; no notifications, no calls, no emails, no nothing. John’s just successfully removed his profile from a website, however, when he searches for his sibling, ex-wife, or even his neighbor, John notices his name mentioned in their profiles. 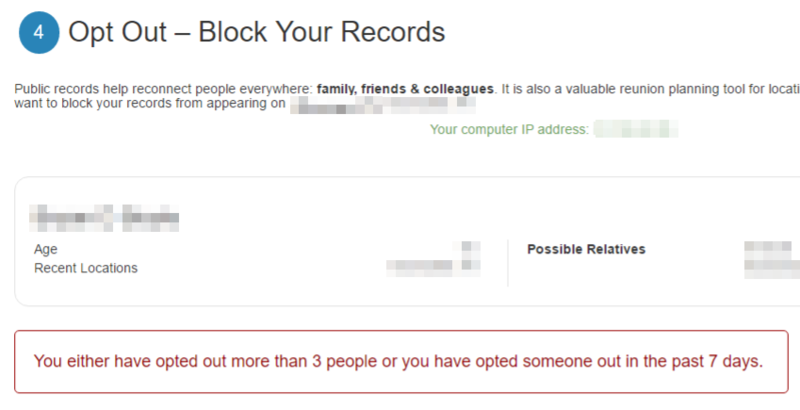 Private information may be listed on other people’s profiles. These profiles may not even have direct connections to you. Frustrating as this sounds, it happens all the time. John spent hours, days, and in some cases, weeks of his valuable time submitting opt-out requests. He followed all the steps, did everything right, then patiently waited for his private records to be removed. But just as he begins to feels satisfied with the fruits of his labor, John discovers his private information has somehow found its way back online, on the exact same websites where he just had them removed. John clearly remembers painstakingly completing numerous opt-out requests, fielding countless emails, texts, calls, and faxes to verify his identity, and fought tooth and nail to get his private records removed. He even went the extra mile and had Google’s search indexing modified. Yet somehow, all his private details are once again posted publicly online for all to see! How could this happen? Sadly, it’s not a mistake or sorcerer’s trickery. Data brokers generally honor removal requests, but they also feed a consistent flow of new information back into their databases. And since most of these websites don’t cross reference past opt-out requests, your removed profile can reappear on the same website within days or weeks of the original removal. So, now what? Does John have any recourse? Sure, all he has to do is repeat the whole process and try to get his records removed all over again. It’s a vicious, never ending cycle that’s sure to consume all of John’s valuable time. In order for John to maintain his ongoing privacy indefinitely, he’ll have to keep monitoring people-search sites regularly in order to see if his private records are being relisted. To help with this, John sets up a repeating event on his calendar reminding him to recheck all these people-search sites for his name and personal information. It’s a daunting task for one person to take on alone. Save Time While Saving Privacy. Some people-search sites deceive visitors by showing them a fake progress bar that takes 10 minutes to complete, and dupes visitors into believing a thorough search is being conducted, when in fact, not much of anything is actually happening. Duplicitous sites like this want people to believe there’s something special about their search engine, the algorithm indexing their database, and the comprehensiveness behind the accuracy of their searches. However, it’s all smoke and mirrors, and a cheap manipulative tactic that just wastes John’s time. Do Google searches take 10 minutes to complete? Of course not. Just take a look at the speed of the world’s most famous search engine. Google gave 4,570,000,000 results for a simple search in just 0.64 seconds! Yet the unscrupulous people-search site mentioned earlier made its visitors wait 5-10 minutes for the exact same results! Why? What took so long? Did they just pull this number out of a hat? Meanwhile, John gives away 5 minutes here, 10 minutes there, and before John knows it, he’s wasted and entire evening and got nothing done. How can John effectively monitor his privacy? Diligently locate new people-search sites and check them as well. The unpleasant surprise on this list is item 3, which is a daunting task. If John wants to maintain his right to privacy online, he’ll have to monitor the internet regularly. New people-search sites appear all the time, because there’s big money in selling John’s private information. It’s an easy business to get off the ground and continually updating his list of new people-search sites is going to consume a lot of John’s time. It’s a good idea to dig deeper and find lesser known sites to make sure your information isn’t listed there too. Needless to say, the whole removal process is very time consuming. The actual act of “submitting” a request may take up to a week, assuming you’re even aware of all the steps involved and provide all the proper supporting documents. If you’re trying to maintain your privacy online, your first step, is to compile a list of all the websites displaying your private information, familiarize yourself with their opt out procedures and tools, and finally, apply submit a request for removal. If you’re lucky, the removal process can be initiated online. If not, get ready for the uncertainty and painstaking wait times of a day, a week, a month, or… just keep waiting and hope for the best. It takes forever to remove private information online.